Simple questions, “Do I Need to File a Tax Return?” or maybe “I Have No Income, Should I File?” or maybe “All I Have is Social Security, Do I Have to File?”. At M&M Income Tax we get these questions every day and the answers are not so simple. 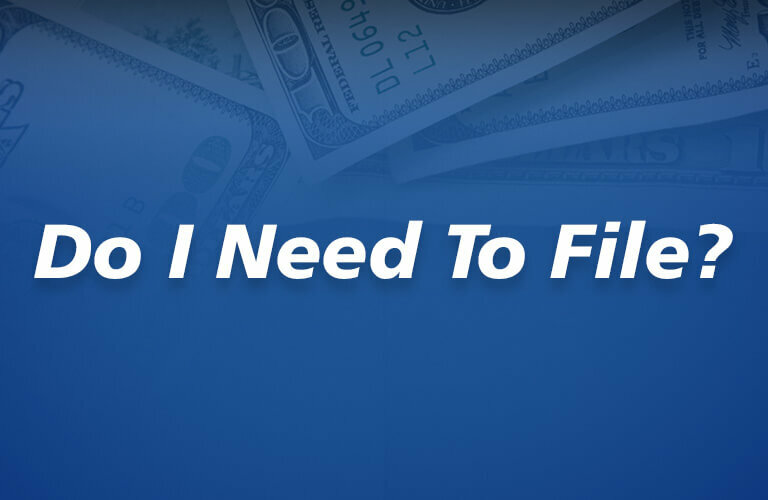 Yes, the requirement to file has historically been based on how much you earned and if your earnings exceed the amount of your standard deduction, which is based on your filing status, plus your personal exemption(s), then you must file a tax return. See how that got real complicated real fast. At M&M Tax Service we prefer to review your tax document or at least talk to you before we answer the question. We would like to point out some aspects of this question that often get overlooked. Marketplace Health Insurance (i.e. Obamacare) has made the question “Do I need to file a tax return?” much more difficult. Basically, if you received health insurance subsidies (i.e. reduced cost) through the Health Insurance Marketplace during the year, you must file a tax return. It does not matter how much you earned, you must file a tax return. If you do not file a tax return, you will not be eligible to receive health insurance subsidies going forward. If you have Obamacare, file a tax return. In the past, most tax clients who asked “Do I Need to File a Tax Return?” were receiving Social Security. They asked this question because their other income had decreased and been replaced by Social Security and along the way someone told them that Social Security was not taxable. Let us clarify that for you, Social Security is considered sometimes partly taxable. Yes, Social Security can be taxable (up to 85%) depending upon the amount of income you have that is not Social Security. Again, at M&M Tax we prefer to review your tax documents or at least talk to you before we answer the question, if you have other types of income in addition to your Social Security. However, if your only source of income is Social Security and you do not receive health insurance subsidies, then you are not required to file. The biggest reason to file when you are not required to file is to get a tax refund. Yes, you may not be required to file, but you are going to want to file if you qualify for a tax refund. Tax refunds can be created from federal tax withheld on your income or from tax credits you may qualify for even when your not required to file.